Producer: Modelo, Cerveceria, S.A. de C.V. Description: White crown, red cap. White text: Victoria PRETEXTOS PARA LLEVAR. Red text in the skirt: CERVECERIA MODELO S. DE R.L. DE C.V. LAGO ALBERTO No156 COL.ANAHUAC, MEXICO D.F. C.P. 11320 CERVEZA TIPO VIENA. 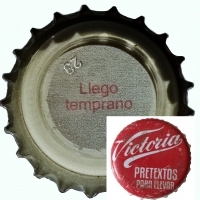 Red text inside: Llego temprano. 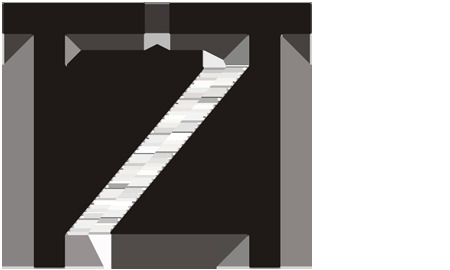 Factory sign: Z (grupo Zapata).